If you’ve had them, you love them – paleo dill pickle wraps. If you haven’t, you must try! These simple party appetizers are made with a dairy free cashew cream ‘cheese’, dill pickles, and deli meat. 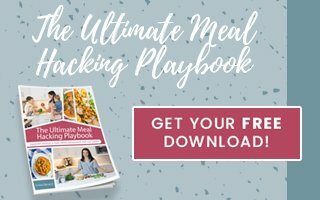 A healthy snack that can even be Whole30 compliant! 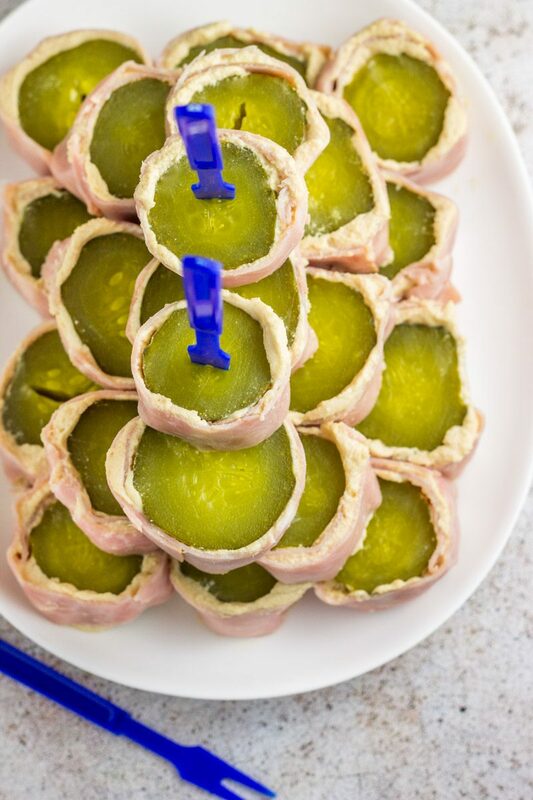 Deli meat (typically ham, dried beef, or prosciutto) smothered with cream cheese and wrapped around dill pickles. THESE were the party staple growing up in North Dakota. I had assumed it was just a Midwest thing, until I asked on Instagram. The jury’s still out if these are a national phenomenon…I had followers from the south say YES to these nostalgic appetizers, fans from the Pacific Northwest, and peeps all over the Midwest agreeing that we TOTALLY invented these. Then others that gave me the barf emoji. Come on people, don’t knock ’em till you try them! And yeah, these paleo dill pickle wraps are JUST as good as the original version with cream cheese. 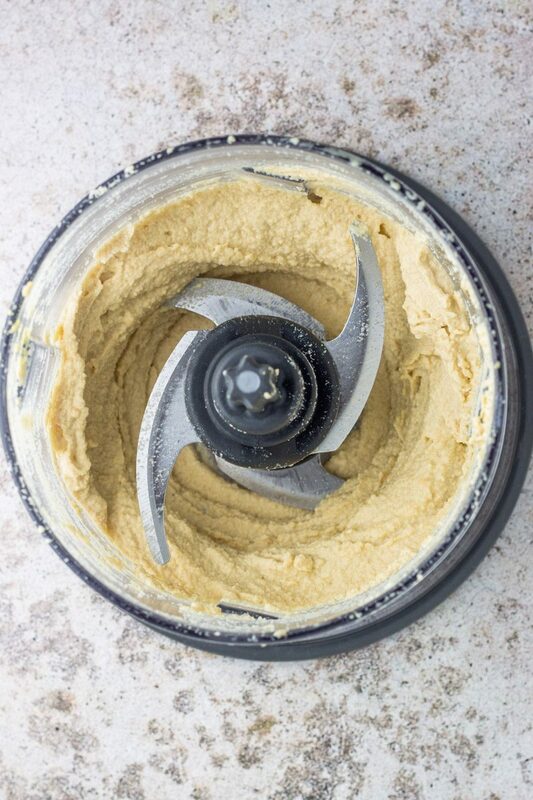 A cashew cream made of raw cashews, lemon juice, apple cider vinegar, and nutritional yeast is an excellent sub if you’re dairy free. And it keeps well in the fridge – so if you have extra, simply throw it in a container and save for later! 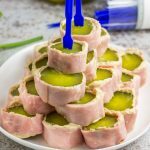 To make these paleo dill pickle wraps Whole30, all you need to do if find compliant deli meat (my personal favorite brand is Applegate). Notable mention for Trader Joe’s Organic Oven Roasted Turkey Breast. THE appetizer to make the rest of summer and all fall long (yes, this does constitute as football food). And be sure check out other squeaky clean appetizers I love like these Whole30 Bacon Enchilada Jalapeño Poppers, Smoked Salmon Avocado Deviled Eggs, and these Endive Plantain Taco Cups. 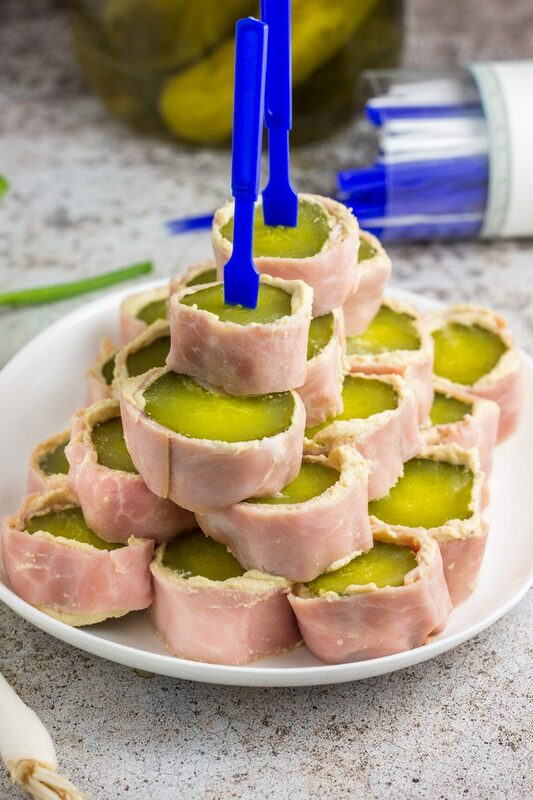 These paleo dill pickle wraps are a delicious party appetizer inspired by a Midwest classic. 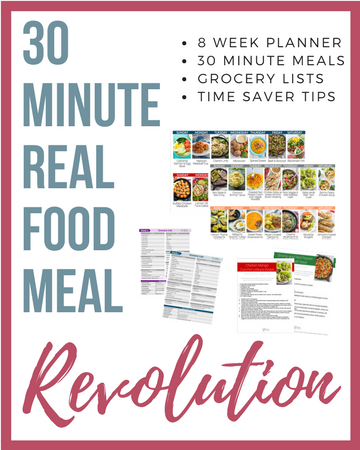 Dairy free and Whole30 compliant.